We pledge to you that we will provide only the most committed, professional airmen on your behalf. We will find only those individuals that meet or exceed your specified criteria. We pre-screen all potential applicants before we introduce them to you to help ensure that they match what you’re looking for. 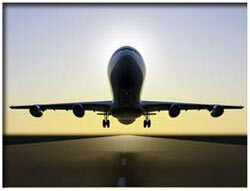 It’s essential that we provide you with only the best flight crew members. Our goal is to establish and maintain a long term relationship with you. This can only be accomplished if we consistently exceed your expectations. Once we help you find the right flight crew members, we provide you with our dedicated administrative and support services. We take care of benefits, payroll, taxes, etc. At Paramount Aviation Resources Group we understand that in aviation SAFETY is the most important element. That is why it is essential to hire only the most qualified and dedicated professional aviators available. We understand this because Paramount Aviation Resources Group is owned and operated by experienced, professional former airline pilots. 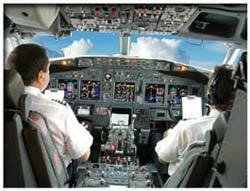 We have thousands of hours and decades of experience working as line pilots, instructors, and managers at international, Part 121 air carriers. We ensure all of our flight crews are dedicated to safe, conservative flight operations. Safety is, above all else, the most important factor in aviation. A safety oriented mind-set by all crew members and staff engrains that concept into the airline’s culture. We define this as: “A crew member’s 100% commitment to attaining the highest standard of safety and excellence then giving 110% to maintaining that standard.” This is expressed by not talking while in a critical phase of flight, proper wearing of the uniform, having maps/charts up to date, and always being prepared for the task at hand whether it is a flight, a training session or other required duty. Dedicated employees are reliable. This means they consistently show up at the correct duty time- every time. Dedicated employees always do their job to the best of their abilities. A pilot who approaches their job with a positive attitude will learn more, perform at their best and help their co-workers to perform at their peak. The result is a better, safer flying environment. Good communications is critical for safety of flight; it plays a substantial role in an effective Crew Resource Management (CRM) environment. This enhances the quality of open communication and monitoring within the cockpit. It also improves communications between the cockpit and the cabin, and between the aircraft and ATC. This element covers flying skills (cross-check, navigation, aircraft manipulation, profile planning, etc. ), knowledge base, auto-flight systems interface and FMS (Flight Management System) knowledge. We also factor in a candidate’s flight experience. This includes: total flight time, PIC time, SIC time, ratings and licenses, turbo-jet time, heavy jet experience, international experience, air carrier experience, military experience, recency of flight, and any past incidents/accidents or violations.